I’m sure news will have started to trickle out to some Moodlers, but I thought I’d post an announcement here that I have resigned from Moodle HQ and will be leaving on 22nd of September. 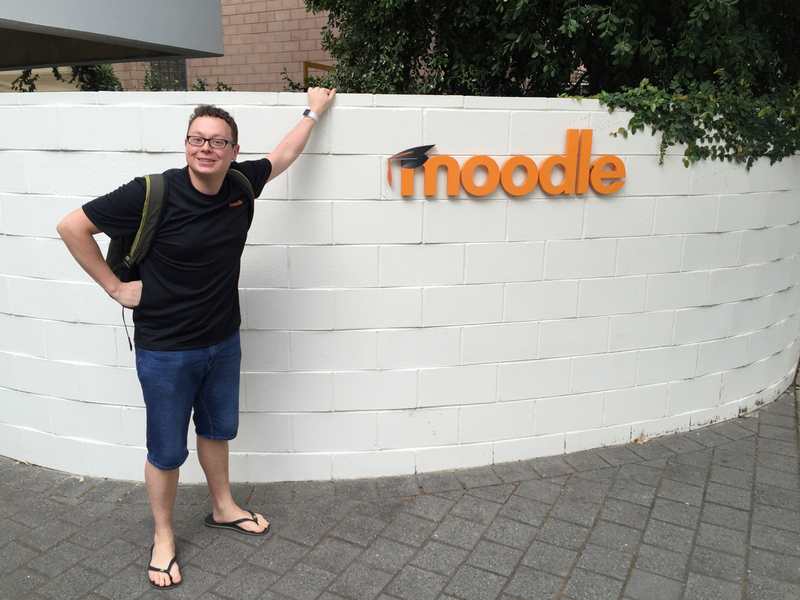 I’ve really enjoyed working at Moodle for the past five and half years and it doesn’t really feel that long ago since I was writing about joining Moodle HQ and boarding the plane to Perth. Reflecting on all the changes in Moodle and at Moodle HQ since then I have been proud to be a part of it. I’m excited to be joining The Networking People to face some new challenges with some familiar faces. I won’t be working on Moodle at TNP, but I hope to stay in touch with the Moodle development community when I can, so I’ll see you around! As a frequent traveller and geeky internet type, connectivity when travelling is very useful to me, so when I joined Three UK’s network, their “Feel at home” inclusive roaming service was quite an attraction. Sadly, despite the promise of their branding, in many cases the experience does not match at all the “Feel at home” name. Webpages can load excruciatingly slow, feeling slower than GPRS rather than 20Mb/s+ 4G I get at home. We restrict your ability to use your data allowance for file-sharing, like peer to peer download services, and using certain sites to download or share large files. This is so that we can manage demand from overseas and ensure that everyone can use the service. You should be able to stream and connect to VPNs, but you’ll find it’s slower and the quality won’t be as good as it is in the UK. For example, we don’t recommend streaming TV programmes and films. If you’re connecting more than one device to Mobile Wi-Fi, your streaming experience will be even poorer. Streaming restricted, or all webpages crippled? My experience roaming with three is that even the most basic webpages are severely speed restricted. I’ve taken a number of trips toto feel at home destinations in the last year or so and I began to pay more attention to the performance and notice a discrepancy between sites; Google maps, search results, wikipedia and WhatsApp would all load promptly, whereas as other sites like the BBC, Washington Post and various tech blogs would take an age to load. The discrepancy between sites was most noticeable when I was catching up on my twitter feed — trying to quickly scroll through my tweets I became frustrated that every image thumbnail would take about 20 seconds to load, somewhat diminishing the fast glance nature of twitter. In contrast, my Facebook feed would load instantly. In September on a trip to Spain the twitter image problem was frustrating me and I started a query with Three support to see if they could improve it. At first I was told that this was out of the control of Three and the fault of their roaming partner (in this case Telefonica), but after some persistence the support team agreed to pass on my query to their second line technical support. At that time I was traveling with a laptop and a three data sim in addition to my usual mobile sim so I decided to do a bit of a technical experiment to back up my perceived experience of performance. 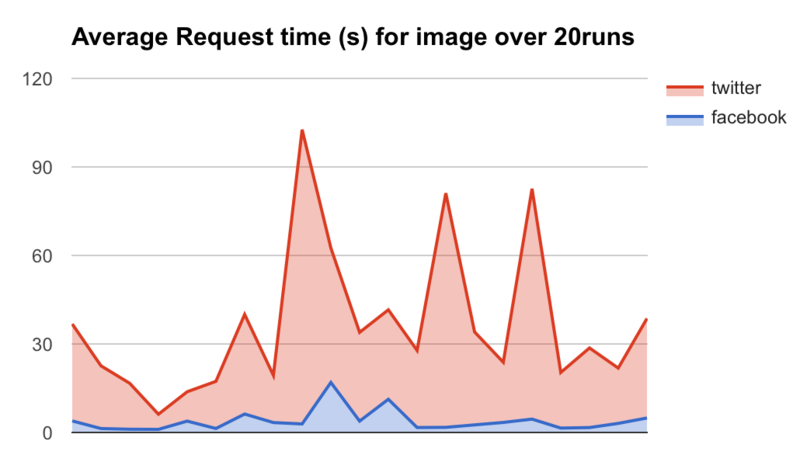 The results were fairly conclusive, on average the image loaded 10x faster on Facebook than Twitter. After them looking into this they have advised that the reasoning behind this is that we have a direct cache link with Facebook, meaning that your speeds will be quicker with Facebook than Twitter. About what I expected – I suggested if such a ‘cache link’ could be established with twimg.com it would give myself and other customers a better experience. To my pleasant surprise, this appears to have happened since then and i’ve notice twitter images load at an acceptable speed whilst roaming from Spain this month. If I wanted to do something about this, writing this blog post isn’t going to achieve it — the solution is to switch away.1 But I’ve got enough networking knowledge from my previous job and geek chats with friends in the field that I’m intrigued to understand what is actually going on. The message from three support mentioned a ‘direct cache link’ which in normal circumstances I’d speculate is some sort of peering arrangement, but that does not make sense to me, the performance differential is too significant, it’d also seem strange to not use the same infrastructure as the local network provider. I’ve noticed that Cloudflare fronted sites (e.g. the Moodle tracker) appear to be in the whitelist and perform well. In fact I tested this theory by remotely downloading a podcast hosted at traffic.libsyn.com (which performs terribly) and placing the mp3 on one of my sites which is fronted by cloudflare. The file could download at 200KB/s through cloudflare, vs <1KB/s from libsyn. It’s also curious to me that webpages are restricted so dramatically, a little bit of extra speed so that I could lookup a local attraction without waiting minutes for the webpage to load would make the service dramatically better. If anyone has knowledge of the mobile industry, how data roaming works in practice or any insight into this, I’d love to hear from you — please leave a comment, send me an email or tweet me! It will also be interesting to see if this approach gets followed by other mobile networks when EU roaming rules enforce fee-free data roaming later this year. Email is one of those areas of software which is a tricky to get a good test setup and thus rarely gets tested well. In Moodle we have quite a few flags which can be used for development but I’ve never quite felt happy with it. In a previous job we ended up setting up Exim to intercept all messages and write to a file which could be read from a browser. It was pretty complex, a pain to setup and you ended up just looking at the message source. 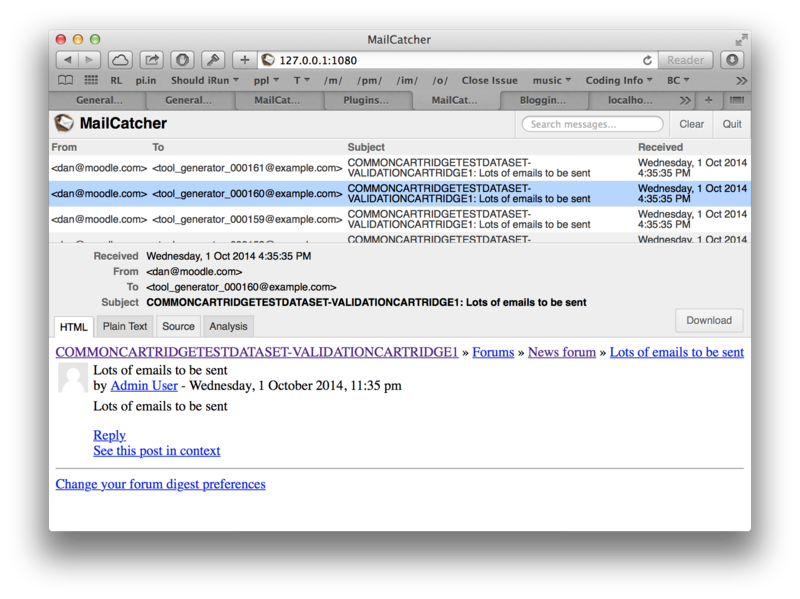 So I was delighted this week when I came across across MailCatcher via One Thing Well. As it says on their site: MailCatcher runs a super simple SMTP server which catches any message sent to it to display in a web interface. Everything you need is availble in one place, source view, html view, plain text view – right in your browser. Great job Samuel Cochran! Moodle Docs is built upon MediaWiki and this week I’ve been working on upgrading Moodle Docs to the latest MediaWiki release (1.23.0). I use open source software all the time, but Mediawiki has strong parallels to Moodle1 and it gave me an opportunity for reflection whilst I was doing the sort of tasks Moodle administrators do; reading release notes, testing customisations and discovering bugs. I became involved in Moodle coming from exactly this situation but it’s been quite a few years since I was far enough removed to consider the experience objectively. I reported a bug and got a response within 2 hours. I was able to find clear documentation about how to contribute code. I easily learnt how to submit code for review3. Automated checks were completed on my patch for basic errors within a few minutes. I got multiple reviews on my patch within 3 hours! Great job MediaWiki! I saw the emails this morning (Saturday) and was excited to respond to your feedback.